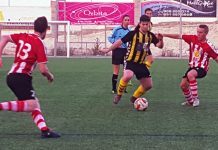 Valencia 1st Regional Group 8 leaders Racing San Miguel suffered a 1-0 defeat against Santa Pola CF – that opened the promotion race at the top of the table. 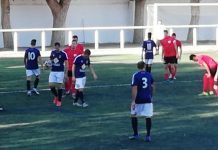 CD Montesinos gained an unexpected point away to Monovar CF in a 1-1 draw – a result that saw the Los Montesinos team drop down the table. 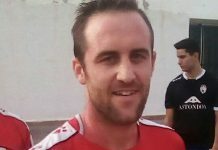 Montesinos, defeated against lowly CD Altet this month, have influential midfielder Maccan sidelined with injury and missed the game at Monovar CF. 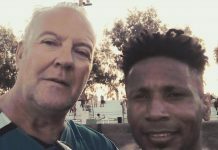 “I have a foot injury sustained against Altet and will be out of action for two weeks,” Maccan told me, ahead of Montesinos hosting Bahia Santa Pola on January 27. 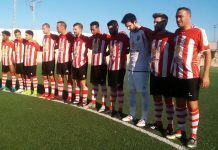 CD Murada thrashed CD Dolores 4-0, with Callosa Deportivo B and promotion hopefuls Hondon Nieves sharing the spoils in a 1-1 draw. 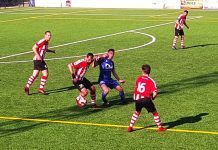 Bahia Santa Pola thumped San Fulgencio 4-0 and CD Altet continue their resurgence with a 3-1 win against Atletico Catral. 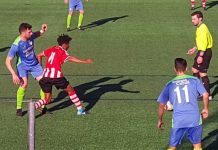 AC Torrellano gained an emphatic 4-0 away win at Monforte CF; and Betis Florida defeated CF Rafal 3-2 in a five goal thriller. 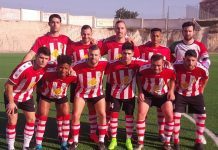 This weekend (January 27) San Miguel host Monforte; Dolores meet Callosa Deportivo B; Hondon Nieves host Altet; Atletico Catral meet Monovar CD, and San Fulgencio host AC Torrellano. Montesinos influential midfielder Maccan ruled out with injury.